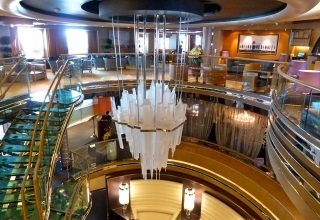 Cruise to exciting destinations in refined elegance and style on the lovely ms Prinsendam. 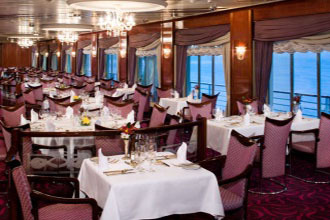 Let Holland America's most intimate ship, with just about 800 pampered guests, welcome you as you enjoy fabulous amenities, while receiving impeccable service. Diverse activities, top-rate entertainment, luxurious accommodations, multiple dining selections, plus two pools and much more are offered. 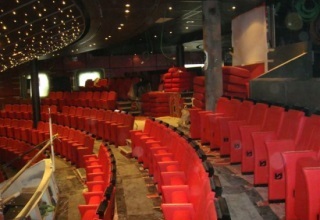 Cruising on this special ship will create an unforgettable experience for everyone! 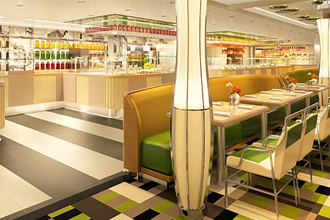 Acclaimed Holland America's "Signature of Excellence" features include the Culinary Arts Center, a favorite with foodies. Fabulous cooking presentations, classes and wine tastings are featured at this state-of-the-art kitchen. Sharpen your computer skills at the complimentary Digital Workshop, powered by Windows®, enjoy sweeping views at the popular Crow's Nest and rejuvenate at the serene Greenhouse Spa & Salon. 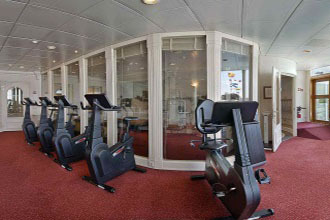 Keep up with your workouts at the Fitness Center and take yoga and Pilates classes. 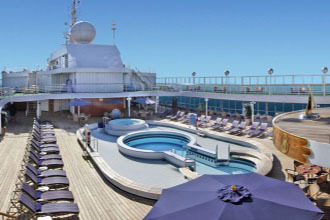 Shop at fantastic duty-free stores and head outdoors to the Sports Deck, with two pools, basketball and tennis courts. 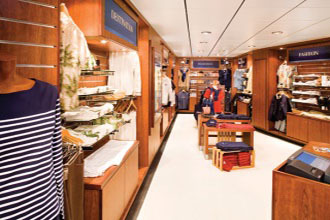 Take a lovely stroll in the sea air along the 360-degree Promenade Deck, with traditional teak floors and cushioned deck chairs to sink into and enjoy the view. 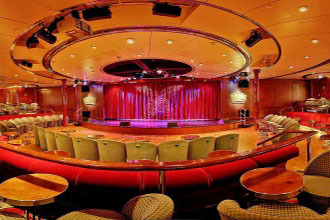 Watch dazzling performances at Queen's Lounge and try your luck at the Casino. La Fontaine Dining Room located on the lower promendade is where you can savor delicious multi-course dinners, including spa selections. 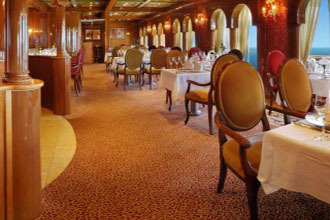 Items from an extensive vegetarian and vegan menu are also available. 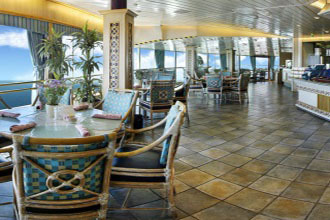 For an elegant sophisticated dining experience, the Pinnacle Grill offers luxurious appointments and exquisite cuisine. 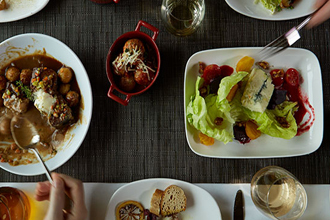 Mouthwatering Italian dishes are served family-style at Canaletto. Enjoy traditional afternoon tea and convenient in-room dining, available 24/7. Relax at the coffeehouse-like Explorations Café and indulge at the incredible Chocolate Extravaganza. 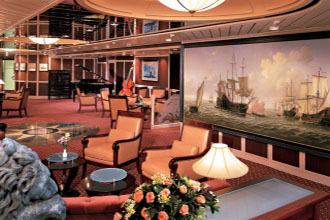 Retreat to your stateroom — many with verandahs — and surround yourself in comfort. 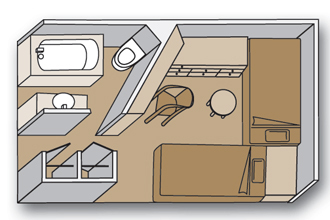 With lovely cheerful colors décor you can easily dream away in your Mariner's Dream Bed. Guests in certain suites may enjoy the added benefit of the Neptune Lounge, a private retreat offering personalized concierge service. 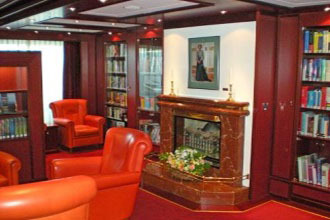 Prinsendam cruises to fabulous worldwide destinations, including the Meditterranean, Northern Europe, the Caribbean and Transatlantic & Repositioning. 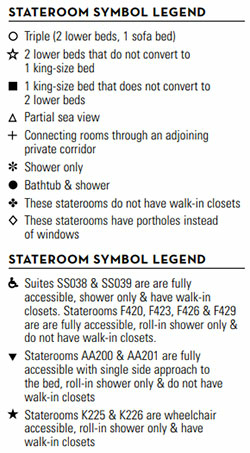 2 lower beds convertible to 1 king-size bed, bath with tub & shower or shower only, sitting area, private verandah, refrigerator, floor-to-ceiling windows. 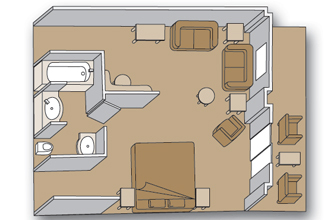 2 lower beds convertible to 1 king-size bed, walk-in closet, bathtub & shower or shower only. 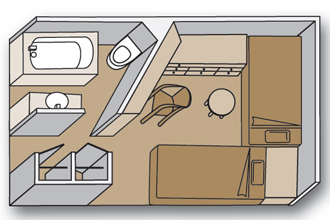 2 lower beds that do not convert to 1 king-size bed, walk-in closet, shower. Bedroom with 1 king-size bed, walk-in closet, bath with ocean-view whirlpool tub, shower, living room, dining area, private verandah, refrigerator, floor-to-ceiling windows. 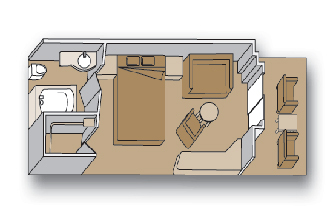 1 lower bed, walk-in closet, shower. 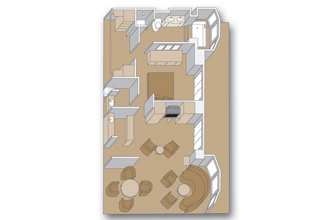 (522 sq. ft.) including verandah. 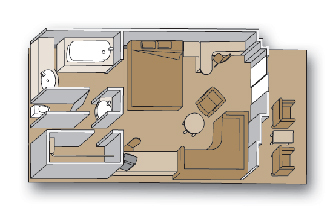 2 lower beds convertible to 1 king-size bed, walk-in closet, bath with tub & shower, two sinks, sitting area, private verandah, refrigerator, 1 sofa bed for 1 person, floor-to-ceiling windows. 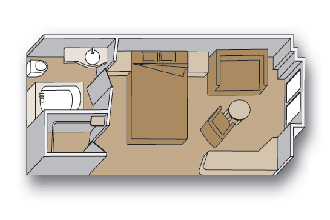 2 lower beds convertible to 1 king-size bed, walk-in closet, bath with tub & shower, two sinks, sitting area, private verandah, refrigerator, 1 sofa bed for 1 person. 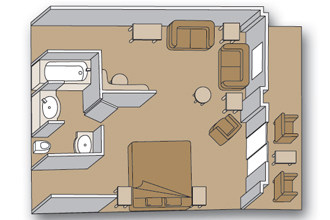 Approximately 365–397 sq. 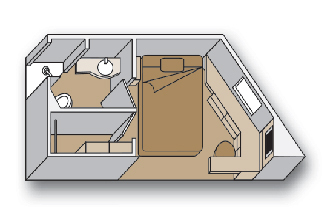 ft. including verandah.2 lower beds convertible to 1 king-size bed, walk-in closet, bath with tub and shower or shower only, two sinks, sitting area, private verandah, refrigerator, floor-to-ceiling windows. 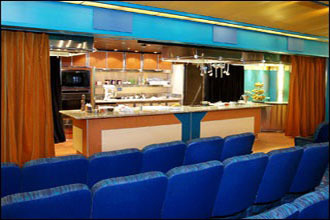 State-of-the-art demonstration kitchen offering interactive gourmet cooking lessons. 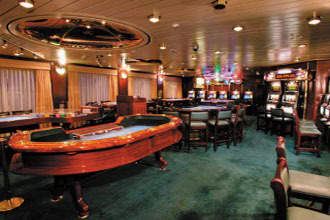 Aboard each luxurious cruise ship in the Holland America Line fleet, you can enjoy the latest in Las Vegas-style gaming and casino action. 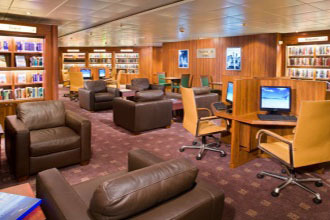 The Explorations Café, powered by The New York Times offers a comfortable, coffee house environment where you can browse through one of the most extensive libraries at sea, view a wide array of audio and video programming, or simply read the morning paper. 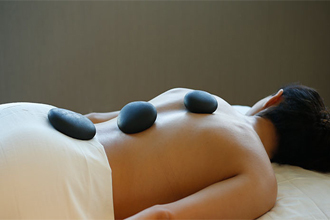 How do you define relaxation? 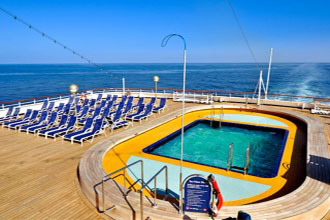 Lounging poolside aboard the ms Prinsendam. 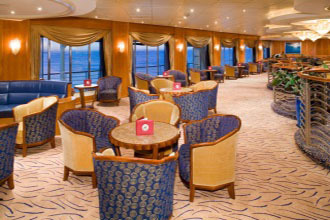 Relax with a Hurricane or Mai Tai while viewing the ocean and a sunset from the ship. 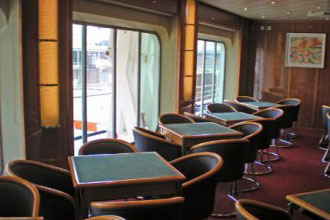 The Crow's Nest lounge offers unsurpassed ocean views from its location on the uppermost deck of the ship. 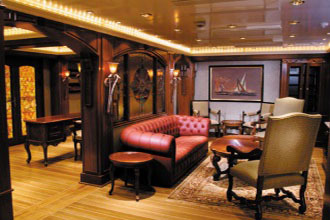 Reminiscent of the golden age of cruising, our Explorer’s Lounge is the perfect spot to relax and enjoy the intimate luxury of a Holland America Line ship. 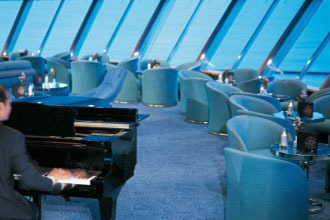 When you want to enjoy drinks and great entertainment in an intimate setting, Queen’s Lounge is the perfect venue. 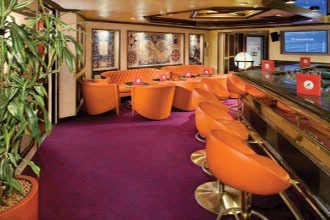 Reminiscent of the great night clubs of the 1930s and 40s, the Queen’s Lounge offers intimate seating and a small stage for guest seeking a classic nightclub experience.